CAMARILLO, Calif. - Opto Diode Corporation, an ITW company, will premiere OD-280-001, the second in a series of UVLEDs that features easy integration, long-lifetime use, and operates in a wavelength that is well-suited for disinfection applications. Peak emission wavelengths range from 275 nm to 285 nm, with typical emissions at 280 nm. The new, ultraviolet light-emitting diode with narrow-spectral output provides total power output of 0.9 (minimum) and 1.2 mW (typical). Housed in a convenient TO-46 package, the device is ideal for use in new or existing systems. The spectral bandwidth at 50% is typically 12 nm. The device features a half-intensity beam angle of 70 degrees, forward voltage of 6.5V (typical) to 7.5V, and capacitance of 350 pF (typical). The new OD-280-001UVLED, similar to the recently introduced OD-265-001, has storage temperature ranges of -40 °C to 100 °C with operating temperature ranges from -30 °C to +80 °C. For more information or to view additional specifications, including a power output vs. temperature graph, a spectral output chart, radiation patterns, and power output degradation graphs, please go to: https://optodiode.com/pdf/OD-280-001DS.pdf. If you’re planning to attend SPIE Photonics West, Moscone Center, San Francisco, Feb. 5 - 7, 2019, please stop by Opto Diode’s North Hall Booth # 4539 to learn more, or contact sales@optodiode.com. Opto Diode Corporation (Camarillo, CA - www.optodiode.com), an ITW Company, delivers industry-leading sensors, photodiodes, IR detectors, photonic modules, assemblies, and LEDs. Available in standard and custom designs, Opto Diode products have earned a reputation for high performance, superior quality and reliability for over 30 years. Opto Diode offers advanced performance sensors from the extreme ultraviolet (UV) to the mid-infrared (mid-IR). Our products provide unparalleled high-energy particle, electron, X-ray, and UV detection along with superior sensitivity to discriminate trace gases or detect heat, sparks, or flames in the mid-IR spectrum. Other products include high performance LEDs with radiometric emissions from 365 to 940 nm and IR emitters covering 1 to 10 microns. Opto Diode serves a variety of industries including aerospace, automotive, biotechnology, food processing, medical, military/defense, industrial, semiconductor equipment manufacturing, and test & measurement. Our manufacturing process is in a cleanroom environment, from start to finish. Opto Diode’s domestic U.S. facility is optimized for design and manufacturing with an on-site wafer fabrication, class 1,000 to class 10,000 clean rooms, extensive assembly capabilities and packaging expertise. From prototyping to high-volume production, we manufacture wafers-to-components then package and assemble photonic modules-to-optoelectronic sub-systems. 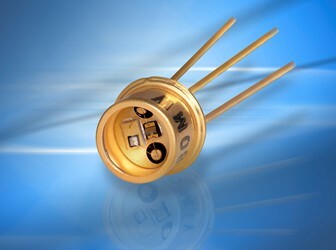 For more information, visit www.optodiode.com.